Washing your baby is no easy task! Rachel's clear and simple methods will give you and your baby a gentle, fun and effective bath time! 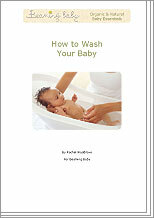 Rachel provides tips and advice for a fun but thorough baby bath time. A simple, handy routine to make bath time easier.